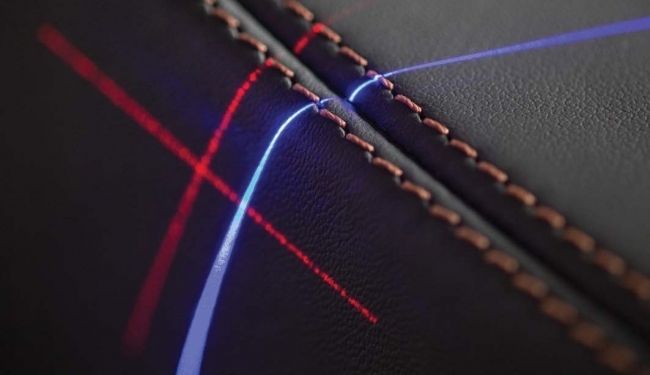 For growth-minded manufacturing organisations like TS Tech, global supplier of automobile seats and interiors, “The way we’ve always done it” is rarely good enough. As a tier-one supplier to major automotive OEMs, TS Tech always has an eye out for ways to improve quality and throughput. They recently found such a tool in blue laser scanning technology. The additional scanner helped alleviate the time squeeze, and the inspection team continued to use them until they learned about the advantages of blue laser scanning. “The way we’ve always done it” became a thing of the past. Today’s scanners employ one of two laser types: blue laser or red laser. 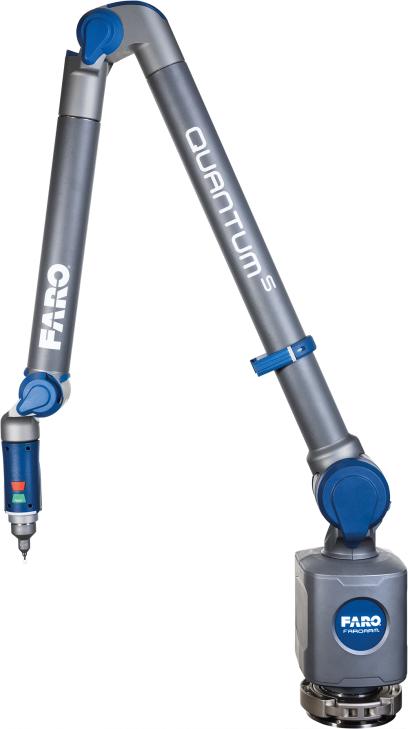 When one of TS Tech’s ScanArms was sent to FARO for annual calibration, a company rep introduced Offord to blue laser scanning technology in the form of the FAROBlu Laser Line Probe HD (High Definition). “When we got our FAROBlu LLP [Laser Line Probe], one of the first things we noticed was we were able to collect so many points and it was so much faster,” says Offord. “Also, we didn’t have to come back and rescan an area because we didn’t get enough points, for instance, to see a clip location that we wanted to run a cross section through or needed more detail for the color map. “We were impressed with how the FAROBlu Laser Line Probe HD could go from shiny material to a dark surface without changing settings. It was able to pick up the change in reflectivity and still collect points, which the red laser scanners struggle with. When you are scanning a part with multiple surface reflectivity features with the red laser scanner, you have to stop and wait for the scanner to catch up or change settings or sometimes even make multiple passes. With the blue laser scanner, we can stay on the automatic High Dynamic Range (HDR) setting all the time and not have any problems with different materials and surfaces.” Because blue laser has a shorter wavelength than red, a blue laser can deliver improved scanning results due to its intrinsic higher resolution, with a 50% reduction in speckle noise. The FAROBlu LLP high-definition camera uses the most advanced CMOS technology to deliver fast frame rate (the number of times per second that the camera gathers new data on the part being scanned) of up to 300 frames per second (fps). This equates to approximately three times faster scanning than currently-available red laser technology. In addition to the faster frame rate, the FAROBlu LLP also captures more data points than a comparable red laser scanner. “With our FAROBlu LLP, we’re able to actually move faster [because of the frame rate] and get more data points,” says Offord. “In one particular scan, a red laser scanner took 11 million points, but the FAROBlu took 33 million.” The more points gathered, the better the resolution. Although Offord was convinced of the FAROBlu LLP’s advantages over red lasers and its value in increasing throughput, management had to be convinced and sign off on the dollar amount. There’s no doubt that increased throughput coupled with higher quality will result in a quick return on investment (ROI). In the scope of TS Tech’s quality inspection processes, does doubled and tripled scanning speed translate to its inspection throughput being doubled and tripled?